​The Crater Club is a seasonal residential enclave on the shore of Lake Champlain approximately one mile south of Essex, New York within the Adirondack Park region. The Club was originally developed as a summer retreat in 1899 by the naturalist and outdoor writer John Bird Burnham practicing a 'simple life' away from growing urban cities. Today, the Crater Club area covers approximately 150 picturesque acres of which 67 acres are owned directly by the Club with all of its common recreational facilities, buildings and roads. Within that 150 acres are 44 privately owned homes (or camps), whos owners are the Voting Members of the Club. The Club also has members who come from the surrounding area (Non-Voting Members or Summer Members) who actively enjoy the social and recreational activities of the Club. With its traditional Adirondack Clubhouse, playing fields, waterfront, clay tennis courts, swim and boat dock, members lead activities including, pot-luck or catered suppers, BYOB Saturday evening gatherings, Monday Night cookouts, summer youth programs, tennis for all ages, swimming, boating of all types. ​The Club owns four clay tennis courts for members and their guests to enjoy. Daily mixed doubles reflect the casual, non-scheduled social nature of the Club to encourage new and old friends to mingle while awaiting turns and catching up with one another at the Tennis Hut. Usually anyone can play without reservations, however, children are requested to play in the afternoons with occasional instruction offered to youth players by Club volunteers. 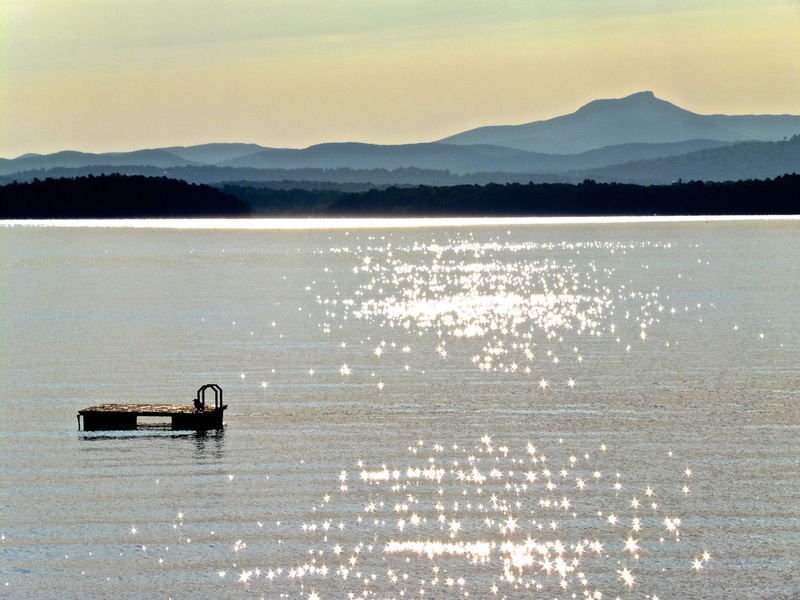 The Club has always been about the enjoyment of Lake Champlain. The 200-foot concrete swimming dock, boat dock, smooth stone beach and 50-person waterfront 'Burnham's Landing' with kitchen provide a daily gathering place for members. Activities include weekly sailing competition, kayak outings, cookouts, card night, and the occasional beach bonfire. "We have been enjoying the Crater Club for over 20 years and we can't think of a better place to enjoy the Adirondacks." ﻿As a non-profit member-led social organization, committees of members share creative ideas on new events or activities. These have included kayak expeditions and cookouts, bicycling tours, lecturers, movie nights, and croquet competition -- we love new concepts!